Start thinking through the steps for promoting the Basics in your organization. This guide is designed for program leaders, coordinators, and others helping to implement the Basics at the organization level. 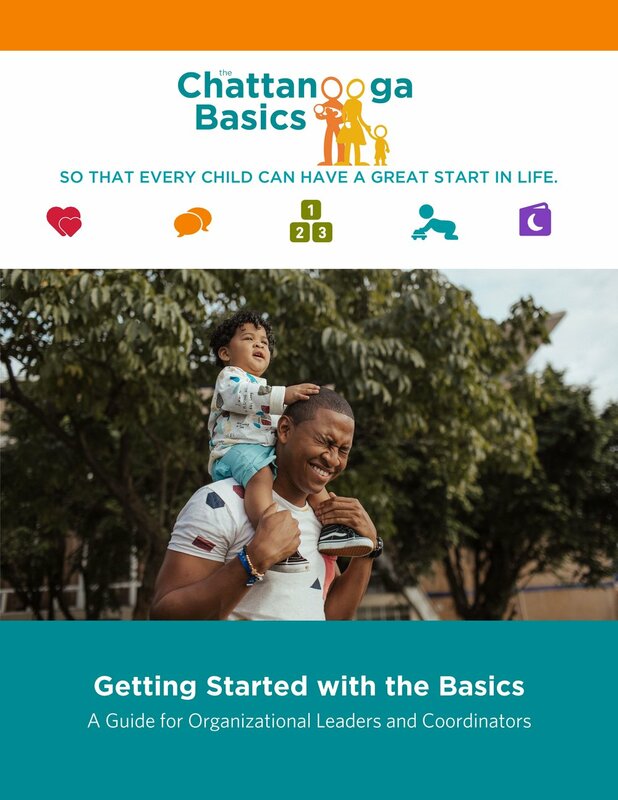 It includes background on the Basics campaign, an overview of materials and resources available in the Basics Community Toolkit, steps for adopting the Basics in your organization, and a planning template. Plan and document Basics implementation using this template in the form of a MS Word file that you can edit. The template walks through key steps in a cycle of planning, acting, and reflecting. Review with your team and complete it progressively as you implement the Basics in your organization. Assess where an organization falls on this 4-level implementation rubric, from Level 1: Pre-Implementation, up to Level 4: Mature Implementation. Organization leaders will find this helpful as both a planning and self-assessment tool. It can also be used by community-level organizers to track implementation levels and progress across an entire community. Engage parents and caregivers in interactive, hands-on learning. This guide is for individuals who lead caregiver workshops, support groups, or other meetings. Find instructions for leading activities aligned with each of the five Basics. Activities are designed for adults with no children present. For activities designed for adults with children present, see "Skill-Building Activities for Groups Caregivers and Their Infants/Toddlers. Engage caregivers and their infants/toddlers in fun Basics learning experiences. This guide is for individuals who lead infant/toddler playgroups or other community events for caregivers and young children. Find instructions for hands-on activities aligned with each of the five Basics. Infants and toddlers are included in the activities.